"Via Negativa" redirects here. For The X-Files episode, see Via Negativa (The X-Files). The apophatic tradition is often, though not always, allied with the approach of mysticism, which aims at the vision of God, the perception of the divine reality beyond the realm of ordinary perception. According to Fagenblat, "negative theology is as old as philosophy itself;" elements of it can be found in Plato's "unwritten doctrines," while it is also present in Neo-Platonic, Gnostic and early Christian writers. A tendency to apophatic thought can also be found in Philo of Alexandria. According to Carabine, "apophasis proper" in Greek thought starts with Neo-Platonism, with its speculations about the nature of the One, culminating in the works of Proclus. According to Carabine, there are two major points in the development of apophatic theology, namely the fusion of the Jewish tradition with Platonic philosophy in the writings of Philo, and the works of Dionysius the Pseudo-Areopagite, who infused Christian thought with Neo-Platonic ideas. The Early Church Fathers were influenced by Philo, and Meredith even states that Philo "is the real founder of the apophatic tradition." Yet, it was with Pseudo-Dionysius the Areopagite and Maximus the Confessor, whose writings shaped both Hesychasm, the contemplative tradition of the Eastern Orthodox Churches, and the mystical traditions of western Europe, that apophatic theology became a central element of Christian theology and contemplative practice. For the ancient Greeks, knowledge of the gods was essential for proper worship. Poets had an important responsibility in this regard, and a central question was how knowledge of the Divine forms can be attained. Epiphany played an essential role in attaining this knowledge. Xenophanes (c. 570 – c. 475 BC) noted that the knowledge of the Divine forms is restrained by the human imagination, and Greek philosophers realized that this knowledge can only be mediated through myth and visual representations, which are culture-dependent. Parmenides (fl. late sixth or early fifth century BC), in his poem On Nature, gives an account of a revelation on two ways of inquiry. "The way of conviction" explores Being, true reality ("what-is"), which is "What is ungenerated and deathless,/whole and uniform, and still and perfect." "The way of opinion" is the world of appearances, in which one's sensory faculties lead to conceptions which are false and deceitful. His distinction between unchanging Truth and shifting opinion is reflected in Plato's allegory of the Cave. Together with the Biblical story of Moses's ascent of Mount Sinai, it is used by Gregory of Nyssa and Pseudo-Dionysius the Areopagite to give a Christian account of the ascent of the soul toward God. Cook notes that Parmenides poem is a religious account of a mystical journey, akin to the mystery cults, giving a philosophical form to a religious outlook. Cook further notes that the philosopher's task is to "attempt through 'negative' thinking to tear themselves loose from all that frustrates their pursuit of wisdom." Plato (428/427 or 424/423 – 348/347 BCE), "deciding for Parmenides against Heraclitus" and his theory of eternal change, had a strong influence on the development of apophatic thought. 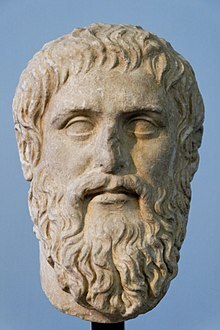 Plato further explored Parmenides's idea of timeless truth in his dialogue Parmenides, which is a treatment of the eternal forms, Truth, Beauty and Goodness, which are the real aims for knowledge. The Theory of Forms is Plato's answer to the problem "how one unchanging reality or essential[clarification needed] being can admit of many changing phenomena (and not just by dismissing them as being mere illusion)." In The Republic, Plato argues that the "real objects of knowledge are not the changing objects of the senses, but the immutable Forms,"[web 5] stating that the Form of the Good[note 3] is the highest object of knowledge. [web 5][note 4] His argument culminates in the Allegory of the Cave, in which he argues that humans are like prisoners in a cave, who can only see shadows of the Real, the Form of the Good. [web 5] Humans are to be educated to search for knowledge, by turning away from their bodily desires toward higher contemplation, culminating in an intellectual[note 5] understanding or apprehension of the Forms, c.q. the "first principles of all knowledge." According to Cook, the Theory of Forms has a theological flavour, and had a strong influence on the ideas of his Neo-Platonist interpreters Proclus and Plotinus. The pursuit of Truth, Beauty and Goodness became a central element in the apophatic tradition, but nevertheless, according to Carabine "Plato himself cannot be regarded as the founder of the negative way." Carabine warns not to read later Neo-Platonic and Christian understandings into Plato, and notes that Plato did not identify his Forms with "one transcendent source," an identification which his later interpreters made. Middle Platonism (1st century BCE–3rd century CE)[web 6] further investigated Plato's "Unwritten Doctrines," which drew on Pythagoras' first principles of the Monad and the Dyad (matter). [web 6] Middle Platonism proposed a hierarchy of being, with God as its first principle at its top, identifying it with Plato's Form of the Good. 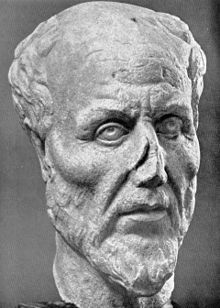 An influential proponent of Middle Platonism was Philo (c. 25 BCE–c. 50 CE), who employed Middle Platonic philosophy in his interpretation of the Hebrew scriptures, and asserted a strong influence on early Christianity. [web 6] According to Craig D. Allert, "Philo made a monumental contribution to the creation of a vocabulary for use in negative statements about God." For Philo, God is undescribable, and he uses terms which emphasize God's transcendence. Our thought cannot grasp the One as long as any other image remains active in the soul [...] To this end, you must set free your soul from all outward things and turn wholly within yourself, with no more leaning to what lies outside, and lay your mind bare of ideal forms, as before of the objects of sense, and forget even yourself, and so come within sight of that One. Carabine notes that Plotinus' apophasis is not just a mental exercise, an acknowledgement of the unknowability of the One, but a means to ecstasis and an ascent to "the unapproachable light that is God. "[web 10] Pao-Shen Ho, investigating what are Plotinus' methods for reaching henosis,[note 7] concludes that "Plotinus' mystical teaching is made up of two practices only, namely philosophy and negative theology." According to Moore, Plotinus appeals to the "non-discursive, intuitive faculty of the soul," by "calling for a sort of prayer, an invocation of the deity, that will permit the soul to lift itself up to the unmediated, direct, and intimate contemplation of that which exceeds it (V.1.6). "[web 8] Pao-Shen Ho further notes that "for Plotinus, mystical experience is irreducible to philosophical arguments." The argumentation about henosis is preceded by the actual experience of it, and can only be understood when henosis has been attained. Ho further notes that Plotinus's writings have a didactic flavour, aiming to "bring his own soul and the souls of others by way of Intellect to union with the One." As such, the Enneads as a spiritual or ascetic teaching device, akin to The Cloud of Unknowing, demonstrating the methods of philosophical and apophatic inquiry. Ultimately, this leads to silence and the abandonment of all intellectual inquiry, leaving contemplation and unity. Proclus (412-485) introduced the terminology which is being used in apophatic and cataphatic theology. He did this in the second book of his Platonic Theology, arguing that Plato states that the One can be revealed "through analogy," and that "through negations [dia ton apophaseon] its transcendence over everything can be shown." For Proclus, apophatic and cataphonic theology form a contemplatory pair, with the apophatic approach corresponding to the manifestation of the world from the One, and cataphonic theology corresponding to the return to the One. The analogies are affirmations which direct us toward the One, while the negations underlie the confirmations, being closer to the One. According to Luz, Proclus also attracted students from other faiths, including the Samaritan Marinus. Luz notes that "Marinus' Samaritan origins with its Abrahamic notion of a single ineffable Name of God (יהוה) should also have been in many ways compatible with the school's ineffable and apophatic divine principle." The Early Church Fathers were influenced by Philo (c. 25 BCE – c. 50 CE), who saw Moses as "the model of human virtue and Sinai as the archetype of man's ascent into the "luminous darkness" of God." His interpretation of Moses was followed by Clement of Alexandria, Origen, the Cappadocian Fathers, Pseudo-Dionysius, and Maximus the Confessor. God's appearance to Moses in the burning bush was often elaborated on by the Early Church Fathers, especially Gregory of Nyssa (c. 335 – c. 395), realizing the fundamental unknowability of God; an exegesis which continued in the medieval mystical tradition. Their response is that, although God is unknowable, Jesus as person can be followed, since "following Christ is the human way of seeing God." Clement of Alexandria (c. 150 – c. 215) was an early proponent of apophatic theology. According to R.A. Baker, in Clement's writings the term theoria develops further from a mere intellectual "seeing" toward a spiritual form of contemplation. Clement's apophatic theology or philosophy is closely related to this kind of theoria and the "mystic vision of the soul." For Clement, God is transcendent and immanent. According to Baker, Clement's apophaticism is mainly driven not by Biblical texts, but by the Platonic tradition. His conception of an ineffable God is a synthesis of Plato and Philo, as seen from a Biblical perspective. According to Osborne, it is a synthesis in a Biblical framework; according to Baker, while the Platonic tradition accounts for the negative approach, the Biblical tradition accounts for the positive approach. Theoria and abstraction is the means to conceive of this ineffable God; it is preceded by dispassion. [t]hat which is infinite is known only to itself. This it is which gives some notion of God, while yet beyond all our conceptions – our very incapacity of fully grasping Him affords us the idea of what He really is. He is presented to our minds in His transcendent greatness, as at once known and unknown. For we explain not what God is but candidly confess that we have not exact knowledge concerning Him. For in what concerns God to confess our ignorance is the best knowledge. Augustine of Hippo (354-430) defined God aliud, aliud valde, meaning "other, completely other", in Confessions 7.10.16. Apophatic theology found its most influential expression in the works of Pseudo-Dionysius the Areopagite (late 5th to early 6th century), a student of Proclus (412-485), combining a Christian worldview with Neo-Platonic ideas. He is a constant factor in the contemplative tradition of the eastern Orthodox Churches, and from the 9th century onwards his writings also had a strong impact on western mysticism. Dionysius the Areopagite was a pseudonym, taken from Acts of the Apostles chapter 17, in which Paul gives a missionary speech to the court of the Areopagus in Athens. In verse 23 Paul makes a reference to an altar-inscription, dedicated to the Unknown God, "a safety measure honoring foreign gods still unknown to the Hellenistic world." For Paul, Jesus Christ is this unknown God, and as a result of Paul's speech Dionysius the Areopagite converts to Christianity. Yet, according to Stang, for Pseudo-Dionysius the Areopagite Athens is also the place of Neo-Platonic wisdom, and the term "unknown God" is a reversal of Paul's preaching toward an integration of Christianity with Neo-Platonism, and the union with the "unknown God." According to Corrigan and Harrington, "Dionysius' central concern is how a triune God, ... who is utterly unknowable, unrestricted being, beyond individual substances, beyond even goodness, can become manifest to, in, and through the whole of creation in order to bring back all things to the hidden darkness of their source." Drawing on Neo-Platonism, Pseudo-Dionysius described humans ascend to divinity as a process of purgation, illumination and union. Another Neo-Platonic influence was his description of the cosmos as a series of hierarchies, which overcome the distance between God and humans. In Orthodox Christianity apophatic theology is taught as superior to cataphatic theology. The fourth-century Cappadocian Fathers[note 9] stated a belief in the existence of God, but an existence unlike that of everything else: everything else that exists was created, but the Creator transcends this existence, is uncreated. The essence of God is completely unknowable; mankind can know God only through His energies. Gregory of Nyssa (c.335-c.395), John Chrysostom (c. 349 – 407), and Basil the Great (329-379) emphasized the importance of negative theology to an orthodox understanding of God. John of Damascus (c.675/676–749) employed negative theology when he wrote that positive statements about God reveal "not the nature, but the things around the nature." Maximus the Confessor (580-622) took over Pseudo-Dionysius' ideas, and had a strong influence on the theology and contemplative practices of the Eastern Orthodox Churches. Gregory Palamas (1296–1359) formulated the definite theology of Hesychasm, the Orthodox practices of contemplative prayer and theosis, "deification." Influential modern Eastern Orthodox theologians are Vladimir Lossky, John Meyendorff, John S. Romanides and Georges Florovsky. Lossky argues, based on his reading of Dionysius and Maximus Confessor, that positive theology is always inferior to negative theology which is a step along the way to the superior knowledge attained by negation. This is expressed in the idea that mysticism is the expression of dogmatic theology par excellence. According to Lossky, outside of directly revealed knowledge through Scripture and Sacred Tradition, such as the Trinitarian nature of God, God in His essence is beyond the limits of what human beings (or even angels) can understand. He is transcendent in essence (ousia). Further knowledge must be sought in a direct experience of God or His indestructible energies through theoria (vision of God). According to Aristotle Papanikolaou, in Eastern Christianity, God is immanent in his hypostasis or existences. We do not know what God is. God Himself does not know what He is because He is not anything [i.e., "not any created thing"]. Literally God is not, because He transcends being." When he says "He is not anything" and "God is not", Scotus does not mean that there is no God, but that God cannot be said to exist in the way that creation exists, i.e. that God is uncreated. He is using apophatic language to emphasise that God is "other". The distinction between univocal, equivocal, and analogous language and relations corresponds to the distinction between the via positiva, via negativa, and via eminentiae. In Thomas Aquinas, for example, the via positiva undergirds the discussion of univocity, the via negativa the equivocal, and the via eminentiae the final defense of analogy. God is not absolutely unknowable, and yet it is true that we cannot define Him adequately. But we can conceive and name Him in an "analogical way". The perfections manifested by creatures are in God, not merely nominally (equivoce) but really and positively, since He is their source. Yet, they are not in Him as they are in the creature, with a mere difference of degree, nor even with a mere specific or generic difference (univoce), for there is no common concept including the finite and the Infinite. They are really in Him in a supereminent manner (eminenter) which is wholly incommensurable with their mode of being in creatures. We can conceive and express these perfections only by an analogy; not by an analogy of proportion, for this analogy rests on a participation in a common concept, and, as already said, there is no element common to the finite and the Infinite; but by an analogy of proportionality. Since then Thomism has played a decisive role in resizing the negative or apophatic tradition of the magisterium. Apophatic statements are still crucial to many modern theologians, restarting in the 1800s by Søren Kierkegaard (see his concept of the infinite qualitative distinction) up to Rudolf Otto, Karl Barth (see their idea of "Wholly Other", i.e. ganz Andere or totaliter aliter), the Ludwig Wittgenstein of the Tractatus, and Martin Heidegger after his kehre. C. S. Lewis, in his book Miracles (1947), advocates the use of negative theology when first thinking about God, in order to cleanse our minds of misconceptions. He goes on to say we must then refill our minds with the truth about God, untainted by mythology, bad analogies or false mind-pictures. The mid-20th century Dutch philosopher Herman Dooyeweerd, who is often associated with a neo-Calvinistic tradition, provides a philosophical foundation for understanding why we can never absolutely know God, and yet, paradoxically, truly know something of God. 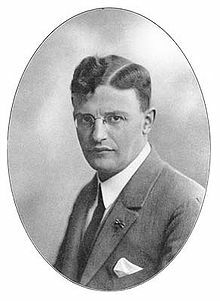 Dooyeweerd made a sharp distinction between theoretical and pre-theoretical attitudes of thought. Most of the discussion of knowledge of God presupposes theoretical knowledge, in which we reflect and try to define and discuss. Theoretical knowing, by its very nature, is never absolute, always depends on religious presuppositions, and cannot grasp either God or the law side. Pre-theoretical knowing, on the other hand, is intimate engagement, and exhibits a diverse range of aspects. Pre-theoretical intuition, on the other hand, can grasp at least the law side. Knowledge of God, as God wishes to reveal it, is pre-theoretical, immediate and intuitive, never theoretical in nature. The philosopher Leo Strauss considered that the Bible, for example, should be treated as pre-theoretical (everyday) rather than theoretical in what it contains. Ivan Illich (1926-2002), the historian and social critic, can be read as an apophatic theologian, according to a longtime collaborator, Lee Hoinacki, in a paper presented in memory of Illich, called "Why Philia?" According to Deirdre Carabine, negative theology has become a hot topic since the 1990s, resulting from a broad effort in the 19 and 20th century to portray Plato as a mysticist, which revived the interest in Neoplatonism and negative theology. Karen Armstrong, in her book The Case for God (2009), notices a recovery of apophatic theology in postmodern theology. The Arabic term for "negative theology" is lahoot salbi, which is a "system of theology" or nizaam al lahoot in Arabic. Different traditions/doctrine schools in Islam called Kalam schools (see Islamic schools and branches) use different theological approaches or nizaam al lahoot in approaching God in Islam (Allah, Arabic الله) or the ultimate reality. The lahoot salbi or "negative theology" involves the use of ta'til, which means "negation," and the followers of the Mu'tazili school of Kalam, founded by Imam Wasil ibn Ata, are often called the Mu'attili, because they are frequent users of the ta'tili methodology. 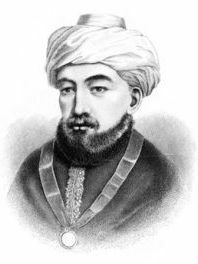 Rajab ʿAlī Tabrīzī, an Iranian and Shiat philosopher and mystic of the 17th century. instilled a radical apophatic theology in a generation of philosophers and theologians whose influence extended into the Qajar period. Mulla Rajab affirmed the completely unknowable, unqualifiable, and attributeless nature of God and upheld a general view concerning God’s attributes which can only be negatively ‘affirmed’, by means of the via negativa. Shia Islam adopted "negative theology". [note 11] In the words of the Persian Ismaili missionary, Abu Yaqub al-Sijistani: "There does not exist a tanzíh ["transcendence"] more brilliant and more splendid than that by which we establish the absolute transcendence of our Originator through the use of these phrases in which a negative and a negative of a negative apply to the thing denied." Early Sunni scholars who held to a literal reading of the Quran and hadith rejected this view, adhering to its opposite, believing that the Attributes of God such as "Hand", "Foot" etc... should be taken literally and that, therefore, God is like a human being. Today, most Sunnis, like the Ash'ari and Maturidi, adhere to a middle path between negation and anthropomorphism. This [form of unity] wherein G‑d’s knowledge and so on is one with G‑d Himself is beyond the capacity of the mouth to express, beyond the capacity of the ear to hear, and beyond the capacity of the heart of man to apprehend clearly. God's existence is absolute and it includes no composition and we comprehend only the fact that He exists, not His essence. Consequently it is a false assumption to hold that He has any positive attribute [...] still less has He accidents (מקרה), which could be described by an attribute. Hence it is clear that He has no positive attribute however, the negative attributes are necessary to direct the mind to the truths which we must believe [...] When we say of this being, that it exists, we mean that its non-existence is impossible; it is living — it is not dead; [...] it is the first — its existence is not due to any cause; it has power, wisdom, and will — it is not feeble or ignorant; He is One — there are not more Gods than one [...] Every attribute predicated of God denotes either the quality of an action, or, when the attribute is intended to convey some idea of the Divine Being itself — and not of His actions — the negation of the opposite. According to Fagenblat, it is only in the modern period that negative theology really gains importance in Jewish thought. Yeshayahu Leibowitz (1903-1994) was a prominent modern exponent of Jewish negative theology. According to Leibowitz, a person's faith is his commitment to obey God, meaning God's commandments, and this has nothing to do with a person’s image of God. This must be so because Leibowitz thought that God cannot be described, that God's understanding is not man's understanding, and thus all the questions asked of God are out of place. Whenever we deny something unreal, it is in reference to something real. Buddhist philosophy has also strongly advocated the way of negation, beginning with the Buddha's own theory of anatta (not-atman, not-self) which denies any truly existent and unchanging essence of a person. Madhyamaka is a Buddhist philosophical school founded by Nagarjuna (2nd-3rd century CE), which is based on a fourfold negation of all assertions and concepts and promotes the theory of emptiness (shunyata). Apophatic assertions are also an important feature of Mahayana sutras, especially the prajñaparamita genre. These currents of negative theology are visible in all forms of Buddhism. 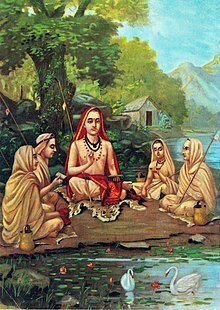 Apophatic movements in medieval Hindu philosophy are visible in the works of Shankara (8th century), a philosopher of Advaita Vedanta (non-dualism), and Bhartṛhari (5th century), a grammarian. While Shankara holds that the transcendent noumenon, Brahman, is realized by the means of negation of every phenomenon including language, Bhartṛhari theorizes that language has both phenomenal and noumenal dimensions, the latter of which manifests Brahman. In Advaita, Brahman is defined as being Nirguna or without qualities. Anything imaginable or conceivable is not deemed to be the ultimate reality. The Taittiriya hymn speaks of Brahman as "one where the mind does not reach". Yet the Hindu scriptures often speak of Brahman's positive aspect. For instance, Brahman is often equated with bliss. These contradictory descriptions of Brahman are used to show that the attributes of Brahman are similar to ones experienced by mortals, but not the same. Negative theology also figures in the Buddhist and Hindu polemics. The arguments go something like this – Is Brahman an object of experience? If so, how do you convey this experience to others who have not had a similar experience? The only way possible is to relate this unique experience to common experiences while explicitly negating their sameness. Even though the via negativa essentially rejects theological understanding in and of itself as a path to God, some have sought to make it into an intellectual exercise, by describing God only in terms of what God is not. One problem noted with this approach is that there seems to be no fixed basis on deciding what God is not, unless the Divine is understood as an abstract experience of full aliveness unique to each individual consciousness, and universally, the perfect goodness applicable to the whole field of reality. Apophatic theology is often accused of being a version of atheism or agnosticism, since it cannot say truly that God exists. "The comparison is crude, however, for conventional atheism treats the existence of God as a predicate that can be denied (“God is nonexistent”), whereas negative theology denies that God has predicates". "God or the Divine is" without being able to attribute qualities about "what He is" would be the prerequisite of positive theology in negative theology that distinguishes theism from atheism. "Negative theology is a complement to, not the enemy of, positive theology". Since religious experience—or consciousness of the holy or sacred, is not reducible to other kinds of human experience, an abstract understanding of religious experience cannot be used as evidence or proof that religious discourse or praxis can have no meaning or value. In apophatic theology, the negation of theisms in the via negativa also requires the negation of their correlative atheisms if the dialectical method it employs is to maintain integrity. ^ Richard G. Geldard: "[M]ore than any other pre-Socratic thinker, Heraclitus embodies the apophatic method. He "unsaid" the myths of the Archaic tradition on his way to transforming the ideas of divinity through the divine Logos. It was a transformation affirmed by Plotinus 800 years later." ^ As opposed to mere rationality. "Question: What is the mind of void and calm, numinous awareness? ^ The Neoplatonic concept of henosis has precedents in the Greek mystery religions as well as parallels in Eastern philosophy. ^ According to Michel Masson, Elijah's theophany is an "apophatic revelation," a mystical experience which is akin to nirvana and Böhme's Ungrund." Michel Masson (2001), Rois et prophètes dans le cycle d'Élie. In: Lemaire André (2001), Prophètes et rois: Bible et Proche-Orient, Paris: Éditions du Cerf, p.119-131. Quoted by Lasine, Stuart (2012). Weighing Hearts. Character, Judgment, and the Ethics of Reading the Bible. London: Bloomsbury Publishing. p. 121. ISBN 978-0-567-42674-1. ISBN 0-56742674-2. ^ Basil the Great (330–379), who was bishop of Caesarea; Basil's younger brother Gregory of Nyssa (c.332–395), who was bishop of Nyssa; and a close friend, Gregory of Nazianzus (329–389), who became Patriarch of Constantinople. ^ Latin: Inter Creatorem et creaturam non potest similitudo notari, quin inter eos maior sit dissimilitudo. ^ Encyclopædia Iranica: "God Himself comprises two ontological levels: first, of the Essence (ḏāt). This is said to be forever inconceivable, unimaginable, above all thought, beyond all knowledge. It can only be described by God through revelations and can only be apprehended by a negative apophatic theology. This recalls the Deus absconditus, the unknowable that forms the hidden, esoteric level of God, the level of the absolute abscondity of God." ^ a b McCombs 2013, p. 84. ^ Belzen & Geels 2003, p. 84–87. ^ a b c Fagenblat 2017, p. 4. ^ a b c d e Carabine 2015, p. 1. ^ a b c d Meredith 2002, p. 545. ^ Berthold 1985, p. 9. ^ a b c d e f Platt 2011, p. 52. ^ Platt 2011, p. 51. ^ Boys-Stones & Haubold 2009, p. xiviii. ^ Platt 2011, p. 53. ^ Geldard 2000, p. 23. ^ Cook 2013, p. 109-111. ^ Cook 2013, p. 111-112. ^ Cook 2013, p. 109. ^ a b Cook 2013, p. 112. ^ a b c d e f Cook 2013, p. 113. ^ Kahn 1998, p. 61. ^ a b c Phillips 2008, p. 234. ^ Carabine 2015, p. 21. ^ Carabine 2015, p. 21-22. ^ a b c d Mooney 2009, p. 7. ^ a b Allert 2002, p. 89. ^ a b c d e f g Gerson 2012. ^ Mooney 2009, p. 8. ^ Angus 1975, p. 52. ^ a b c d Ho 2015, p. 20. ^ Ho 2015, p. 20-21. ^ Ho 2015, p. 26. ^ Ho 2015, p. 25-27. ^ a b Louth 2012, p. 139. ^ a b Louth 2012, p. 140. ^ Luz 2017, p. 149. ^ Merkur 2014, p. 331. ^ a b c Louth 2003, p. 220. ^ a b Lane 2007, p. 67. ^ a b Boersma 2013, p. 243. ^ Mayes 2016, p. 117. ^ Glasscoe 1992, p. 57. ^ Louth 2003, p. 221. ^ a b Baker 2000, p. 88. ^ Baker 2000, p. 89. ^ Baker 2000, p. 92-92. ^ Baker 2000, p. 92. ^ Baker 2000, p. 92-93. ^ Baker 2000, p. 98-103. ^ Tertullian, Apologeticus, § 17. ^ Vessey, Mark, ed. (2012). A Companion to Augustine. With the assistance of Shelley Reid. Hoboken, New Jersey: John Wiley & Sons. p. 107. ISBN 978-1-405-15946-3. ISBN 1-405-15946-4. ^ a b Berthold, George C. (1985). "Introduction" to Maximus the Confessor. Selected Writings. Mahwah, New Jersey: Paulist Press. p. 9. ISBN 978-0-809-12659-0. ISBN 0-80912659-1. ^ a b c MacCulloch 2010, p. 439. ^ a b Stang 2011, p. 12. ^ a b Stang 2011, p. 13. ^ Corrigan & Harrington 2014. ^ McGinn, Bernard (2014). "4. Hidden God and Hidden Self (pp. 85ff.)". In DeConick, April D; Adamson, Grant. Histories of the Hidden God. Concealment and Revelation in Western Gnostic, Esoteric, and Mystical Traditions. Abingdon-on-Thames: Routledge. ISBN 978-1-844-65687-5. ^ Papanikolaou, Aristotle (2006), Being With God: Trinity, Apophaticism, and Divine–Human Communion (1st Edition), Notre Dame, Indiana:University of Notre Dame Press, p. 2, ISBN 978-0-268-03830-4. ^ Quote on Google Books. ^ Indick, William (2015). The Digital God. How Technology Will Reshape Spirituality. Jefferson, North Carolina: McFarland. p. 179. ISBN 978-0-786-49892-5. ISBN 0-78649892-7. ^ (in Latin) DS 806. ^ (in Latin) CCC 43. ^ Przywara 2014, p. 38 ("Thomas Aquinas stands out as Aristotle's most important medieval commentator — both for having clarified received notions of analogy and for assessing its theological uses"). ^ Langdon 2014, p. 189a-189b. ^ One or more of the preceding sentences incorporates text from a publication now in the public domain: Sauvage, George (1907). "Analogy". In Herbermann, Charles. Catholic Encyclopedia. New York: Robert Appleton. ^ Payton Jr., James R. (2007). ""POSITIVE" AND "NEGATIVE" THEOLOGY" (pp. 72-78)". Light from the Christian East. An Introduction to the Orthodox Tradition. Downers Grove, Illinois: IVP Academic. ISBN 978-0-830-82594-3. ^ See for example the Regensburg lecture delivered on 12 September 2006 by Pope Benedict XVI at the University of Regensburg in Germany: "as the Fourth Lateran Council in 1215 stated - unlikeness remains infinitely greater than likeness, yet not to the point of abolishing analogy and its language." ^ Kierkegaard, Søren (1941). Training in Christianity, and the Edifying discourse which 'accompanied' it. Transl. by Walter Lowrie. Oxford University Press. p. 139 ("the infinite qualitative difference between God and man"). ^ Law, David R. (1993) . Kierkegaard as Negative Theologian (illustrated, reprint ed.). Oxford: Clarendon Press. ISBN 978-0-198-26336-4. ISBN 0-19826336-8. ^ Webb, Stephen H. (1991). Re-figuring Theology. The Rhetoric of Karl Barth. Albany, New York: SUNY Press. p. 87. ISBN 978-1-438-42347-0. ISBN 1-43842347-0. ^ Elkins, James (2011). "Iconoclasm and the Sublime. Two Implicit Religious Discourses in Art History (pp. 133–151)". In Ellenbogen, Josh; Tugendhaft, Aaron. Idol Anxiety. Redwood City, California: Stanford University Press. p. 147. ISBN 978-0-804-76043-0. ISBN 0-80476043-8. ^ Mariña, Jacqueline (2010) . "26. Holiness (pp. 235–242)". In Taliaferro, Charles; Draper, Paul; Quinn, Philip L. A Companion to Philosophy of Religion. Hoboken, New Jersey: John Wiley & Sons. p. 238. ISBN 978-1-444-32016-9. ISBN 1-44432016-5. ^ Noble, Ivana (2002). "Apophatic Elements in Derrida's Deconstruction (pp. 83–93)". In Pokorný, Petr; Roskovec, Jan. Philosophical Hermeneutics and Biblical Exegesis. Tübingen: Mohr Siebeck. pp. 89–90. ISBN 978-3-161-47894-9. ISBN 3-16147894-0. ^ Nesteruk, Alexei (2008). The Universe as Communion. Towards a Neo-Patristic Synthesis of Theology and Science. Bloomsbury: Bloomsbury Publishing. p. 96 ("according to Heidegger (after his Kehre), the oblivion of Being was effected by this Being itself, as its withdrawal and it is through this withdrawal Being manifested itself, although in an characteristically apophatic way"). ISBN 978-0-567-18922-6. ISBN 0-56718922-8. ^ Brazier, P. H. (2012). "Transposition and Analogy (pp.181-83)". C.S. Lewis — Revelation, Conversion, and Apologetics. Eugene, Oregon: Wipf and Stock. ISBN 978-1-610-97718-0. ISBN 1-61097718-1. ^ Friesen, J. Glenn. "The religious dialectic revisited" (PDF). jgfriesen.files. Retrieved 5 May 2018. ^ VanDrunen, David (2009). Natural Law and the Two Kingdoms. A Study in the Development of Reformed Social Thought. Grand Rapids MI: Eerdmans. pp. 351-68. ISBN 978-0-802-86443-7. ^ Skillen, James W. "Philosophy of the Cosmonimic Idea: Herman Dooyeweerd's Political and Legal Thought". First Principles. Intercollegiate Studies Institute. Retrieved 5 May 2018. ^ Smith, Gregory B. (2008). Between Eternities. On the Tradition of Political Philosophy, Past, Present, and Future. Lanham, Maryland: Lexington Books. p. 199. ISBN 978-0-739-12077-4. ISBN 0-73912077-8. ^ Carabine 2015, p. i, viii. ^ Carabine 2015, p. i-ii. ^ Blackburn, Simon (4 July 2009). "All quiet on the God front". The Guardian. Guardian News and Media. Retrieved 7 April 2017. ^ Hart, David Bentley (2013). The Experience of God. Being, Consciousness, Bliss. New Haven and London: Yale University Press. p. 142. ISBN 978-0-300-16684-2. ^ Bosworth, C.E. ; van Donzel, E.; Heinrichs, W.P. ; Lecomte, G.; Bearman, P.J. ; Bianquis, Th. (2000). Encyclopaedia of Islam (New Edition). Volume X (T-U). Leiden, Netherlands: Brill. p. 342. ISBN 9004112111. ^ Hughes, Thomas Patrick (1994). A Dictionary of Islam. Chicago: Kazi Publications. p. 425. ISBN 978-0935782707. ^ a b Faruque, Muhammad U. and Mohammed Rustom. "Rajab ʿAlī Tabrīzī's Refutation of Ṣadrian Metaphysics" (PDF). mohammedrustom.com. Retrieved 3 May 2018. ^ Amir-Moezzi, Mohammad Ali. "Shiʿite doctrine". Encyclopædia Iranica. Columbia University. Retrieved 3 May 2018. ^ Walker, Paul.E. (1993). Early Philosophical Shiism, The Ismaili Neoplatonism of Abá Ya`qáb al-Sijistání. Cambridge: Cambridge University Press. p. 78. ISBN 978-0521060820. ^ a b Campo, Juan Eduardo (2009). Encyclopedia of Islam. New York City: Infobase Publishing. pp. 45-46. ISBN 978-1-438-12696-8. ^ Fagenblat 2017, p. 2. ^ Tharaud, Barry. Emerson for the Twenty-First Century: Global Perspectives on an American Icon. Rosemont Publishing and Printing Corp, 2010. p. 453. ISBN 978-0-87413-091-1. ^ Verse III.2.22, Brahma-Sutra, Translated by Swami Gambhirananda. ^ Coward, Harold G. and Foshay, Toby. Derrida and Negative Theology. State University of New York, 1992. P. 21. ISBN 0-7914-0964-3. ^ Renard, John. Responses to One Hundred One Questions on Hinduism. Paulist Press, 1999. P. 75. ISBN 0-8091-3845-X. ^ Pondé, Luiz Felipe (2003). Crítica e profecia: a filosofia da religião em Dostoiévski. São Paulo: Editora 34. pp. 74–92. ISBN 8573262842. ^ Jacobs, Jonathan D. (2015). "7. The Ineffable, Inconceivable, and Incomprehensible God. Fundamentality and Apophatic Theology (pp. 158 — 176)". In Kvanvig, Jonathan. Oxford Studies in Philosophy of Religion. Volume 6. Oxford University Press. p. 168. ISBN 978-0-198-72233-5. ISBN 0-19872233-8. ^ Fagenblat 2017, p. 3. ^ Bryson 2016, p. 114. ^ Lonergan, Bernard (1972), "Method in Theology", New York, N.Y.: Seabury Press, ISBN 0-8164-2204-4. ^ Buckley, Michael J. (2004), "Denying and Disclosing God: The Ambiguous Progress of Modern Atheism", New Haven, C.T. : Yale University Press, pp. 120ff, ISBN 0-30009384-5. ^ Nicholas Bunnin and Jiyuan Yu. "The Blackwell Dictionary of Western Philosophy: negative theology". Blackwell Reference Online. ^ a b Living Without a Why. An Interview with Deirdre Carabine. Holos: Forum for a New Worldview, Vol. 5, No. 1 (2009). ^ Online Etymology Dictionary: "apophatic". ^ a b ellopsos.net, Plato's TIMAEUS : Visible and created Gods. Timaeus 39e-41d (primary source). ^ a b c Moore, Edward. "Middle Platonism". Internet Encyclopedia of Philosophy. ^ a b c Moore, Edward. "Neo-Platonism". Internet Encyclopedia of Philosophy. ^ a b c Moore, Edward. "Plotinus". Internet Encyclopedia of Philosophy. Franke, William (2014). A Philosophy of the Unsayable. Notre Dame, Indiana: University of Notre Dame Press. ISBN 0268079773. Keller, Catherine (2014). Cloud of the Impossible. Negative Theology and Planetary Entanglement. New York City: Columbia University Press. ISBN 0231538707. Wolfson, Elliot R. (2014). Giving Beyond the Gift. Apophasis and Overcoming Theomania. New York City: Fordham University Press. ISBN 0823255700. Yannaras, Christos (1999). "Apophatic Theology". In Fahlbusch, Erwin. Encyclopedia of Christianity. 1. Grand Rapids, Michigan: Wm. B. Eerdmans. pp. 105–106. ISBN 0802824137. Look up apophatic in Wiktionary, the free dictionary. This page was last edited on 26 March 2019, at 18:28 (UTC).